The Hobart jazz bands on this page are available for hire to perform throughout Tasmania, for both public and private jazz concerts. Harry Edwards and his various ensembles have extensive experience performing at jazz festivals, venues, private parties, weddings, and other events. To see what upcoming public events Harry and the above Hobart jazz bands are playing at, please visit the Gigs page. Click on the image of each ensemble above to view an act description, as well as an audio sampler, videos, photos, repertoire lists, and testimonials from clients and audience members. To enquire about booking one of the above acts, please get in touch via the contact page. Ani & Harry are a Hobart jazz band featuring guitar and jazz vocals. The duo focus on performing sensitive and slow jazz ballads, as well as classic soul numbers. 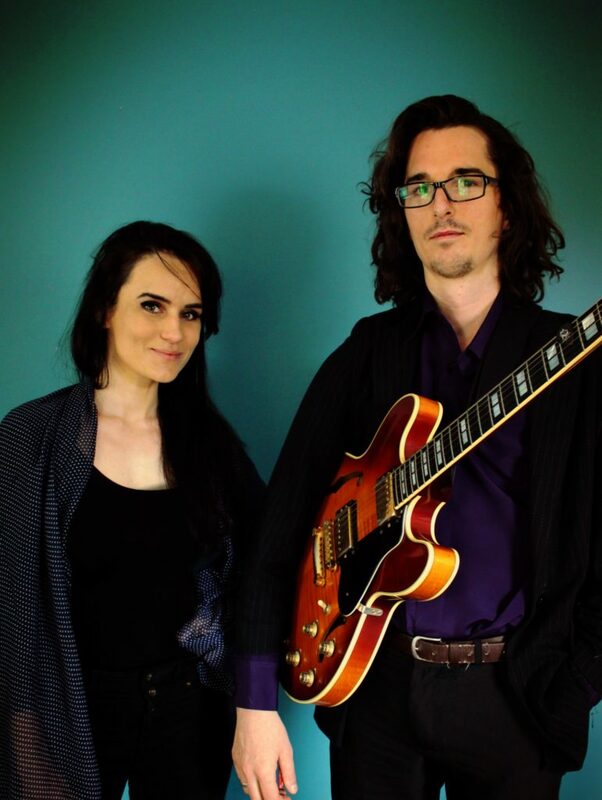 Featuring Anita Cairns on vocals and Harry Edwards on electric and acoustic guitars, this duo perform regularly around Hobart, and throughout the state, at events and venues such as the Taste of Tasmania, The Music Bar, and Wrest Point Casino. This Hobart jazz duo draw on classic jazz ballad repertoire, and merge this with sensitive numbers from soul artists such as Bill Withers, Charles Bradley, and Sam Cooke. Formed in 2013, Django’s Tiger have quickly become one of the most popular Hobart jazz bands. 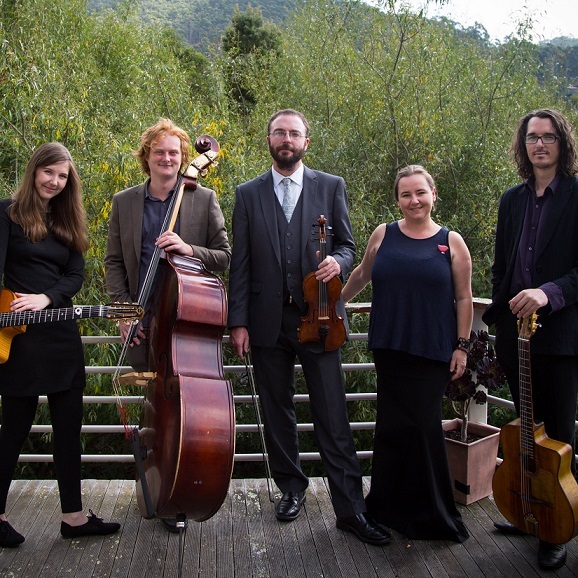 Known for their hot swinging performance of gypsy jazz classics, the ensemble capture the energy and dynamic of Django Reinhardt and Stephane Grappelli’s legendary ensemble the Quintette du Hot Club de France. This ensemble features Charlie McCarthy on violin, Harry Edwards on lead guitar, Jane Morris on vocals, Felicity Lovett on rhythm guitar, and Isaac Gee on double bass. Django’s Tiger perform as either a trio, quartet, or quintet, depending on what suits the event or venue best. The ensemble has extensive performance experience, including regular appearances on ABC Hobart, at the annual Dark MoFo Festival, at the Museum of Old & New Art, and numerous other private and public events. The repertoire for this ensemble includes dozens of classic gypsy jazz swing numbers, punctuated by delicate ballads and traditional gypsy waltzes. 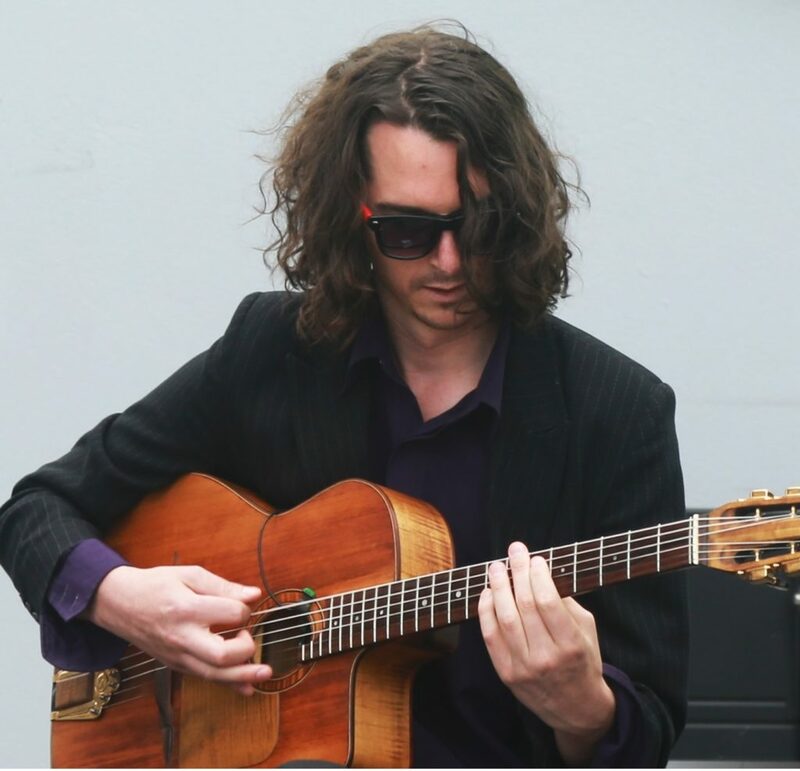 Harry performs as a solo jazz guitarist, and has been featured as a guest solo artist at the Devonport Jazz Festival, as well as performing fortnightly in this format for over a year at Hobart venue The Mill. As a solo jazz guitarist, Harry performs original compositions, extended free improvisations, and arrangements of classic jazz standards. The Harry Edwards Trio perform Harry’s original instrumental jazz compositions, including tracks from their debut album, which was released in 2015 and showcased at the 2015 and 2017 Clarence Jazz Festival. 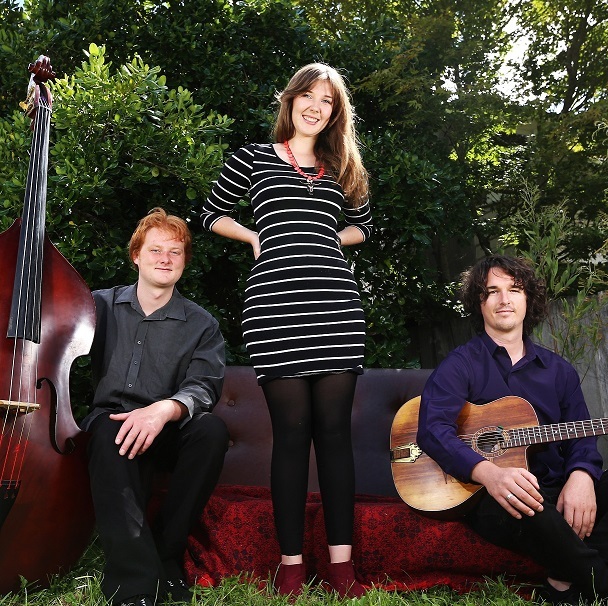 The trio features Harry Edwards on lead guitar, Isaac Gee on double bass, and Felicity Lovett on rhythm guitar. For variation, rhythm guitar is sometimes replaced by Charlie McCarthy on violin, providing an alternative interpretation of Harry’s compositions. This Hobart based jazz ensemble have become a popular addition to the local and statewide jazz scene, and have presented their intimate and sensitive concerts at venues across the country including the Brisbane Jazz Club, Smith’s Alternative, the Moonah Arts Centre, Pier 01, and MONA. 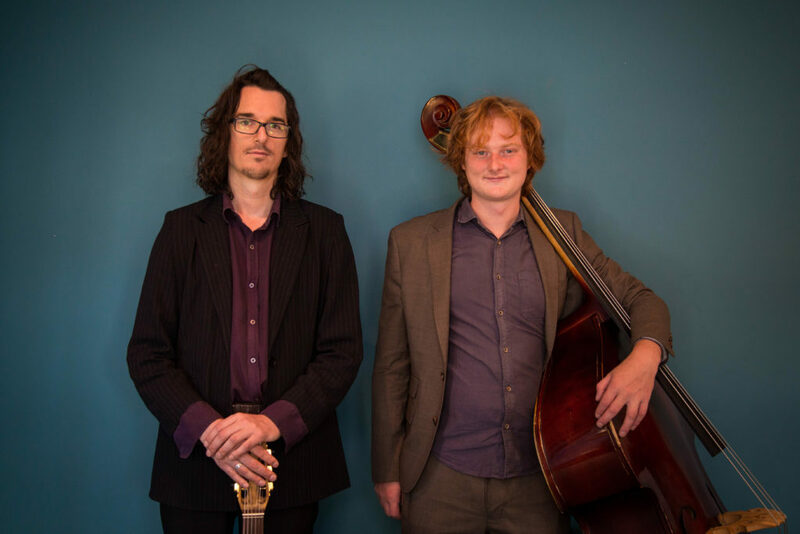 Hobart jazz duo Isaac & Harry provide an eclectic performance that fuses original compositions and jazz standards with improvisation-oriented arrangements of popular contemporary music. This smaller and more ‘open’ sounding ensemble moves through sensitive slow numbers to upbeat swing and groove-oriented jazz works. Jane Morris is a seasoned jazz singer who fronts this Hobart trio. This jazz band also features Isaac Gee on double bass and Harry Edwards on electric guitar, and showcases 1950’s Sinatra-style jazz. 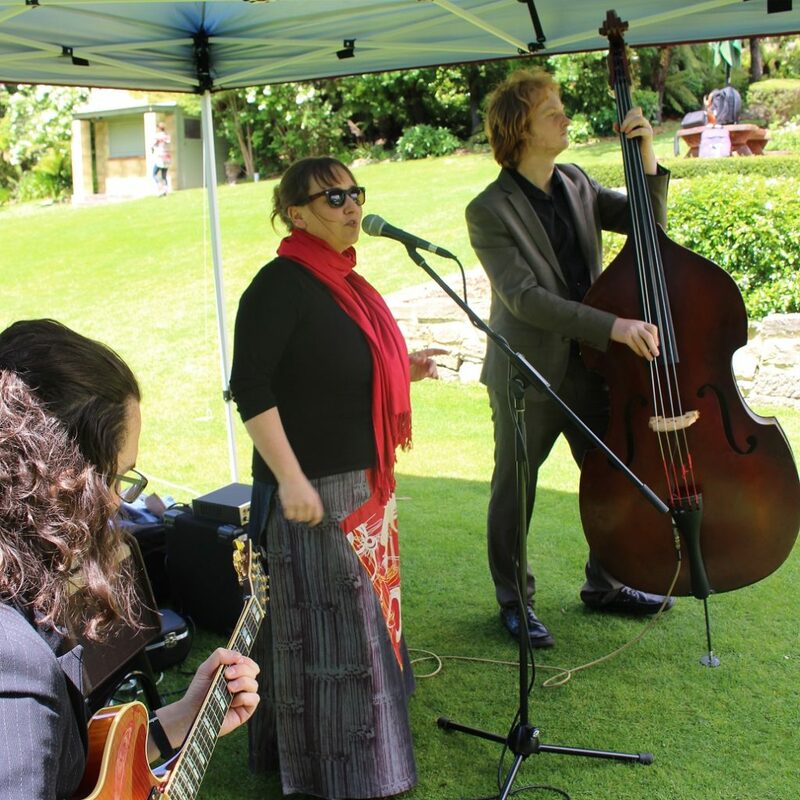 The trio are a great addition to any event, and have entertained patrons at Hobart venues such as the Bird Cage Bar and the Cascade Visitors Centre, as well as private functions.